You’ve decided to meet your friend, or a client during lunch break at a cafe nearby. But the only cafe in the area is the one and only commonly known Starbucks, with a reputation for it’s high calorie drinks, delicious pastries and might I add, highly awesome cakes. You drool uncontrollably but you realize that you just started your body transformation challenge. After all, it’s the New Year and you really want to see a beach body for 2018. Oh crap. Those cakes are SO. AMAZING. But you really don’t want to eat all the sugar today. 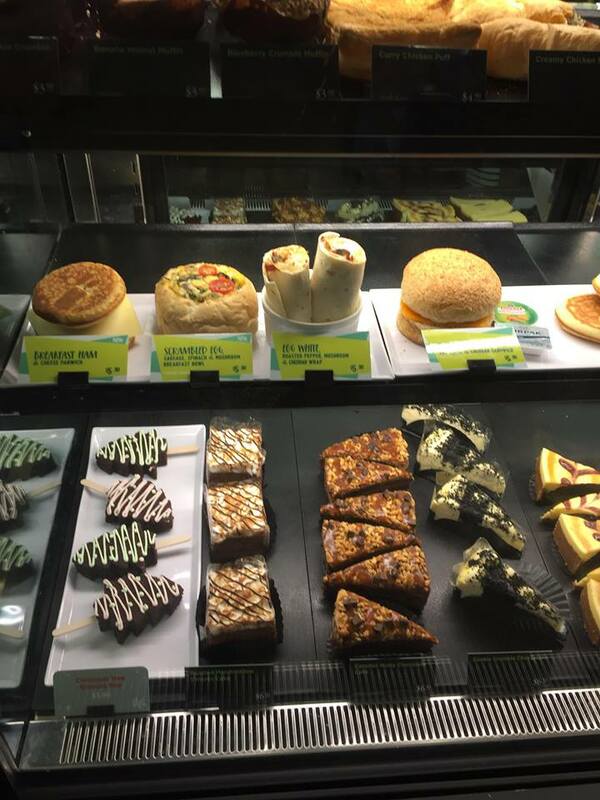 Question: Is there anything you can eat over here in Starbucks that doesn’t vastly destroy your calorie and macros? 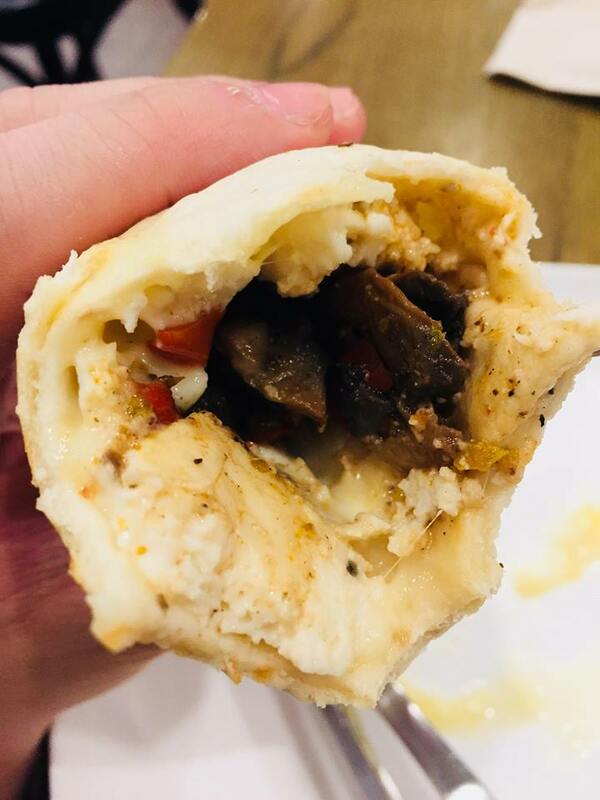 Introducing your help in times of need: The egg white, roasted peppers, mushroom and cheddar wrap. I first ordered this back in June 2017 when Starbucks became a frequent go-to when I need to meet friends, do work, talk to clients or simply hang out. These wraps offer a HUGE serving of egg whites (yay to protein! ), along with some as well as roasted peppers and mushroom (yes, I know, it’s in the name), and the cheese gels everything up well. Truly a delight to my palate. 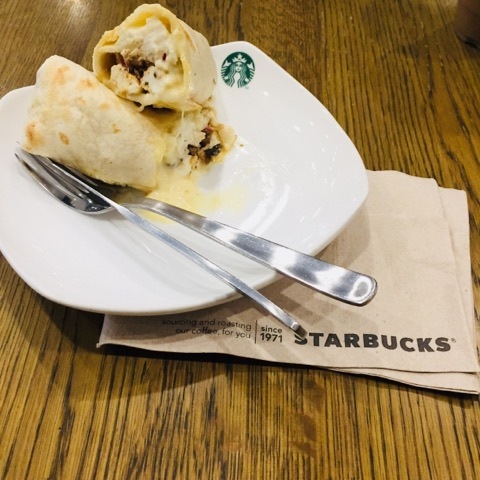 Using a wrap also means that this particular dish is on the lower end of carbohydrates compared to possibly everything else Starbucks has to offer. Of course, one might argue that having cheddar in the dish means that it’s not healthy, but for the small amount of fat (probably 5-10g), you’re also getting 2.5-5g of protein, AND less than 1g of carbohydrate. Weight watchers looking to consume something low carb, high protein may consider this meal. Wait! But Starbucks is all about the drinks! Are there any choices I can make?!?!!? If you’re going for your usual latte, opting for skim milk can help reduce the calories greatly. And of course, if you want caffeine without calories, we always have good ol’ espresso. Ah. Bitter wakes one up very well. 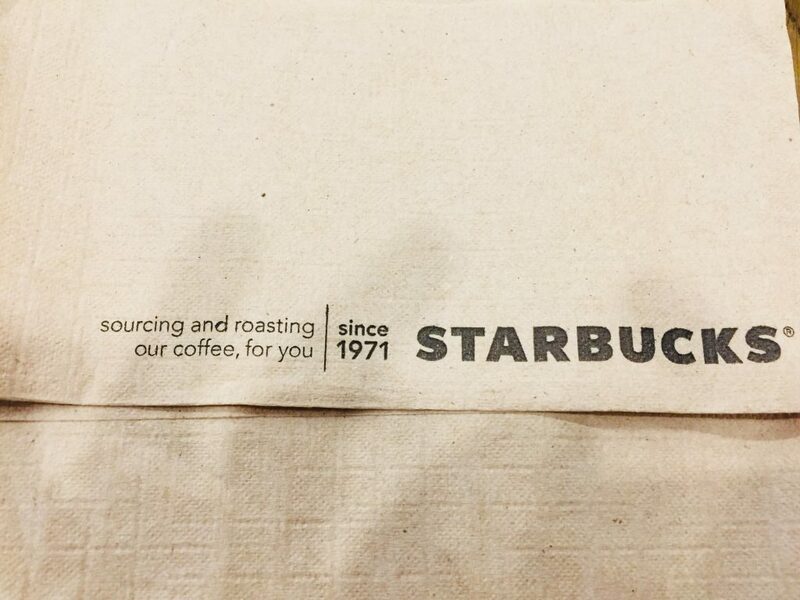 Next time you head to the nearest Starbucks for a meeting, you now know you have a good strategy in place. While the choices stated in this article may not scream optimal, at least they’re a better alternative and healthier choice: That’s already a win, is it not? What other strategies do you use in this situation? Share with me on the comments section! Share this post if you find the information useful!